OpenComputers 1.7.10 and 1.7.2 is meant for those who know how to program in LUA, a programming language mod. The mod adds several blocks that allow us to create or run programs in LUA. Also find programmable robots that can roam and interact with the world around them, in the same way it does our own character. 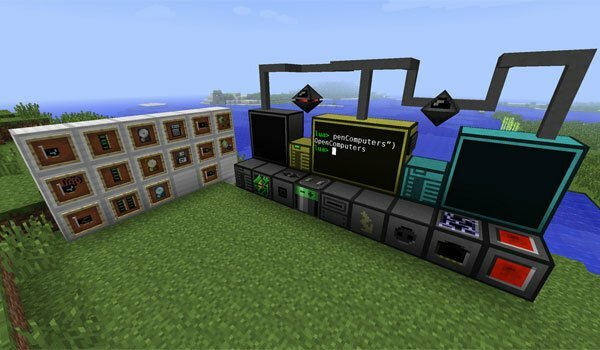 These robots and computers need energy to function, so it is a mod that can be adapted quite well to mods like Industrial Craft or BuildCraft. But as mentioned at the beginning of the article, this mod is thought for programmers who know programming language LUA mod. How to install OpenComputers Mod for Minecraft 1.7.10 and 1.7.2? J’adore votre mode , il est juste incroyable !! Um what’s the difference between this and ComputerCraft?